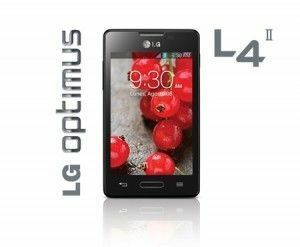 If you have a LG Optimus L4 II device and want to reset android, this tutorial will give you two excellent ways to do this. There are many reasons to wanting to reset Android on LG Optimus L4 II. Maybe it is giving some errors, or lagging. maybe you lost the lock pattern. Or maybe you just want to give or sell your LG Optimus L4 II for someone else to use, and don’t want all your personal data to go with the mobile. Both methods will achieve the same result, but depending on the state of your device, you will use one or the other. One of these methods is more simple than the other, and you can use it if you still have access to the applications menu of your device. The other will use hardware buttons, making it unnecessary for you to need to have access to your phone, for example if you forgot the lock pattern. Before starting any of the two methods presented in this tutorial, make sure your battery is charged at least to 80% of it’s capacity, and backup your data, whenever possible. The LG Optimus L4 II will start the process of returning android to it’s out of the box state. Press the Volume Down button, and while keeping it pressed, press the Power button. When you see the Android icon on your screen, let go of both buttons. The phone will start it’s process of returning to it’s out of the box state, and then restart showing the welcome screen. And we’re done! By now your LG Optimus L4 II should be as good as new and your reset Android was a success!